Can You Use Coupons and Smart Phone Rebates on the Same Items? 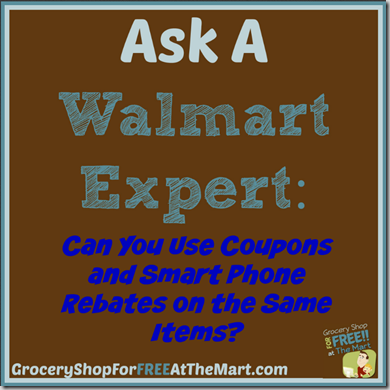 Ask a Walmart Expert: Can You Use Coupons and Smart Phone Rebates on the Same Items? This was an issue that came up in one of our FaceBook rooms where someone was saying that they couldn’t get smartphone rebates (Like the ones found here) on products they used coupons on. I thought it would be helpful for us to be able to see together that there is absolutely no problem using smartphone apps and coupons on the same products so I made the video below to walk you through how I did it. You should take note there is a special restriction on the SavingStar app. SavingStar wants you to use loyalty cards to get your discounts at retailers that have them so if you try to use coupons and a SavingStar rebate at, say, Kroger, because Kroger has a loyalty card you will not be able to get the discount from both the coupon and the app. You can only get a coupon and Savingstar rebate at stores without a loyalty card where you upload pics of your receipts into the app, like Walmart. Other than that one restriction, you can get both a coupon discount and a discount from a smartphone app (or even discounts from multiple apps) with any purchase at any store. 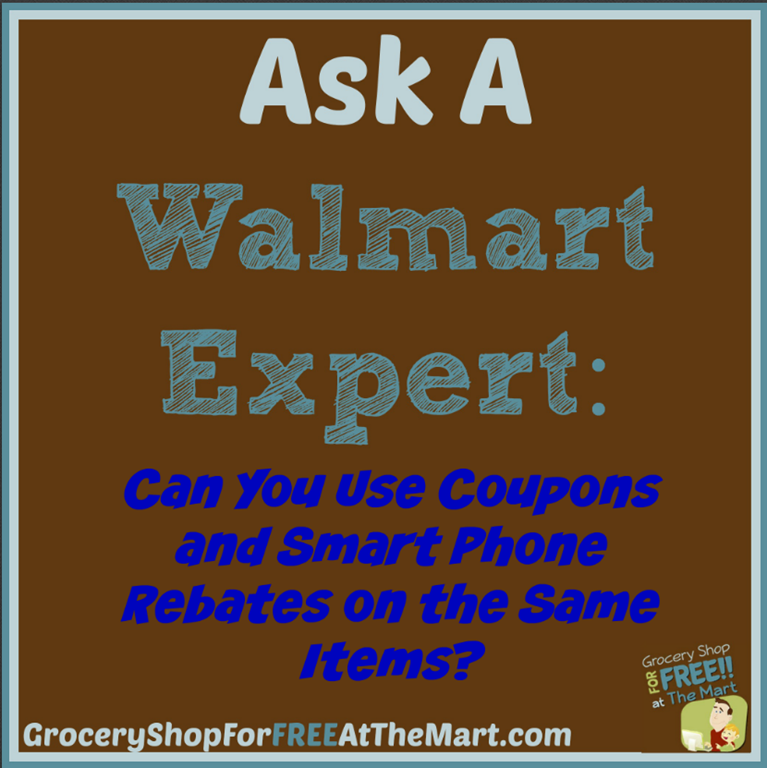 Filed Under: Ask a Walmart Expert Tagged With: Can You Use Coupons and Smart Phone Rebates on the Same Items?